It’s no secret to anyone who has visited Nuestra Cocina; we have the freshest corn tortillas around. In fact, we are known for our fresh corn tortillas, served hot to your table throughout your meal. It’s one of the signature features at our restaurant. So, we thought you might want to meet our Señora de la Tortilla! 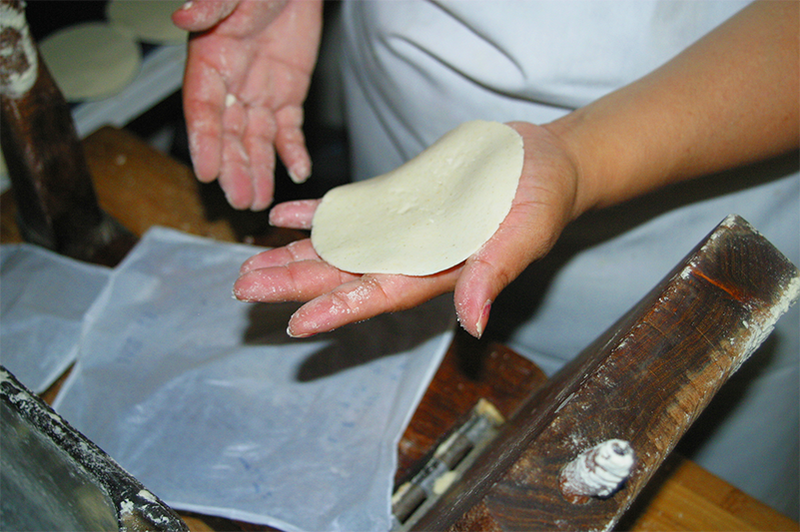 Her sole responsibility is to hand roll & press authentic corn tortillas. Our Tortilla Lady prepares over 30 pounds of masa for every evening’s meal. She provides our guests with delicious corn tortillas that are served fresh and hot, all night long. The hand tortilla press we use is a special hand-crafted press built by our own chef’s grandfather and passed down to him. There is tradition in everything we do.